The mind. We all have a mind, it is ours for life and we could not manage without it, but like so many things in life we take it for granted. You will sometimes hear it said that “the mind is like a muscle” and in that case, just like any muscle, it can be made stronger with regular exercise. What else is true of the mind? I have studied success and achievement at length, seen and researched many quotes. Some well known quotes can be traced back through history, many different people have said the same thing or words to the same effect. When something is true of the human condition it will find its way into quotes that endure. 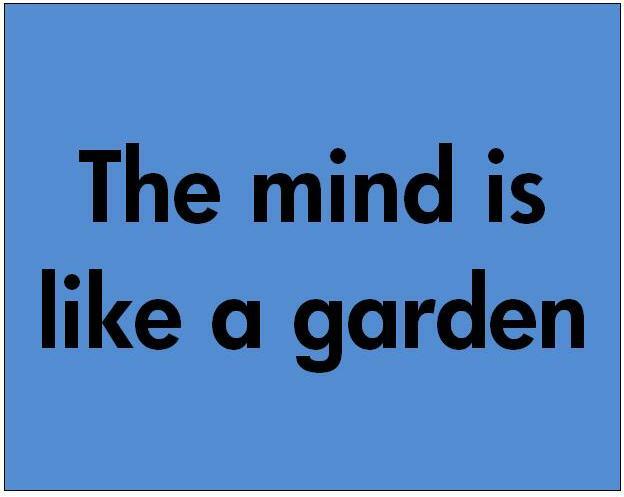 One such quote is that “The mind is like a garden” – sometimes it is compared to a field instead of a garden. 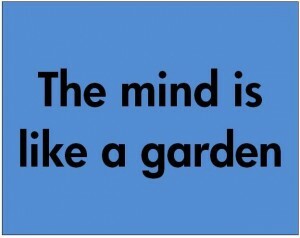 The mind is like a garden. The gardener can decide which seeds are to be planted. The ground is prepared and the seeds are planted. The gardener will care for the planted seeds, watering them and keeping the weeds at bay. Eventually the seeds will sprout up and produce after their kind. Flower seeds will produce flowers; corn seeds will produce corn, carrots seeds will produce carrots and so on, you could go through a never ending list, but one thing is true, what you plant – you will get. Plant a tree and you will get a tree. It can be no other way. The mind is like a garden and it works in the same way as the garden, but the seeds of the mind are our own thoughts. Just like the garden, our thoughts will produce in accordance with the type and variety planted and allowed to remain long enough to grow in the mind into maturity. Plant a thought and reap a result in life in accordance with it. We must be in control of our thoughts and keep them focused only on the things that we truly want. The weeds of the mind must not be allowed to gain roots.